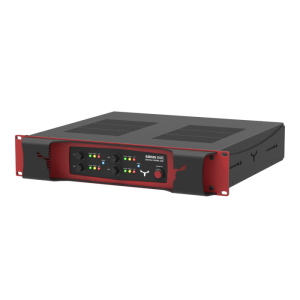 Powerful amplifiers range designed to meet the specialized needs of sound contractors and rental companies offering high dynamic range. 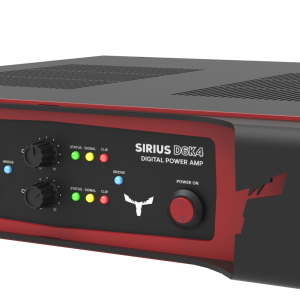 The SIRIUS range compromises 5 models, from 2 to 6 channels, with and without integrated DSP, using Powersoft class D modules to offer unquestionable quality and reliability that only Powersoft can deliver. D4K, D6K4 and D8K are truly flexible solutions for any sound reinforcement loudspeaker system, from 2 to 4 channels, all of them prepared to work in BRIDGE (8ohm) having its outputs properly indentified with a RED NL4 speakon connector. The D4K+ works on the same principle of the others but has built-in circuitry that allows user to select the output combination to be used (1in – 4out, 1in – 2out in bridge, etc) with a front panel display showing the current setup/configuration running for a clear usage of the equipment. 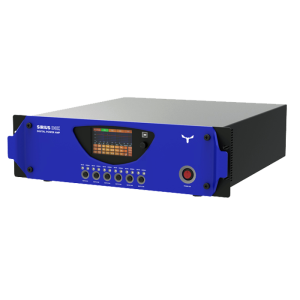 Finally the D8K+ has two dedicated high power channels and four mid power channels coupled to a DSP with touch screen that can be either adjusted by software (USB port) or directly through the front panel. 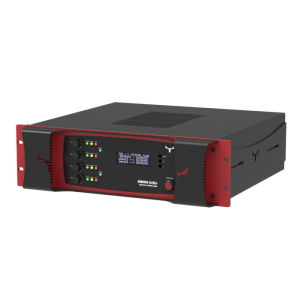 This fully programmable DSP allows adjusting parameters such as crossover and parametric EQ filters, limiting, gain and alignment delay eliminating the need for aditional outboard loudspeaker processors. Efficient forced-air cooling system to prevent excessive thermal buildup. The amplifier protection scheme is one of the most comprehensive in the pro audio industry and all relevant protection features such as over current and short circuit protection, thermal protection, DC output protection and HF protection have been implemented individually for the SMPS as well as for each amplifier channel ensuring high reliability and to guarantee the use of the speaker system in perfect sound and safe operation. 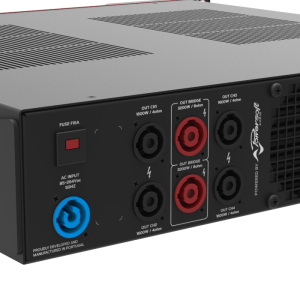 The power supply technology integrated in the amplifier provides universal mains operation with PFC, eliminating the need for market specific self-powered loudspeakers and related reliability issues. 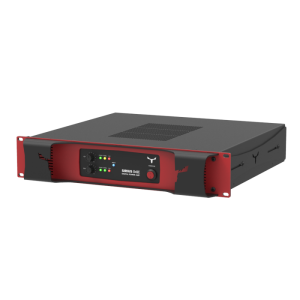 The power supply is regulated delivering consistent power world-wide and the enclosure is cooled by variable speed fans with side-to-back/up airflow.